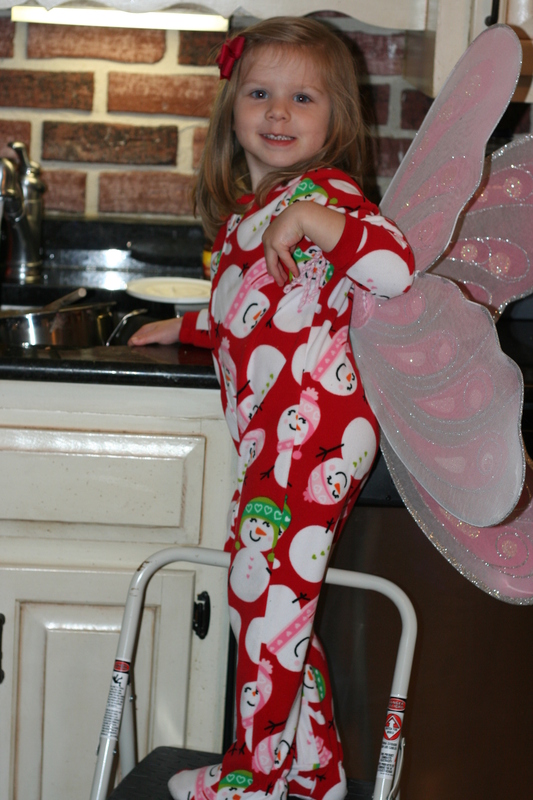 We LOVE that kitchen fairy !!! If she does dishes then I wish I had one. I love it love it…love her too!!!! Hey Heather go to http://www.rossipasta.com and the recipe is Sweet Sausage and Pumpkin Pasta over Baby Spinach….yummmmmm..doesn’t sound that wonderful but it is!!! Of course not sure where you will get the pasta I got it on 15th street!! why does that fairy look so ornery? This is too cute! I want one of these pictures! Love y’all. 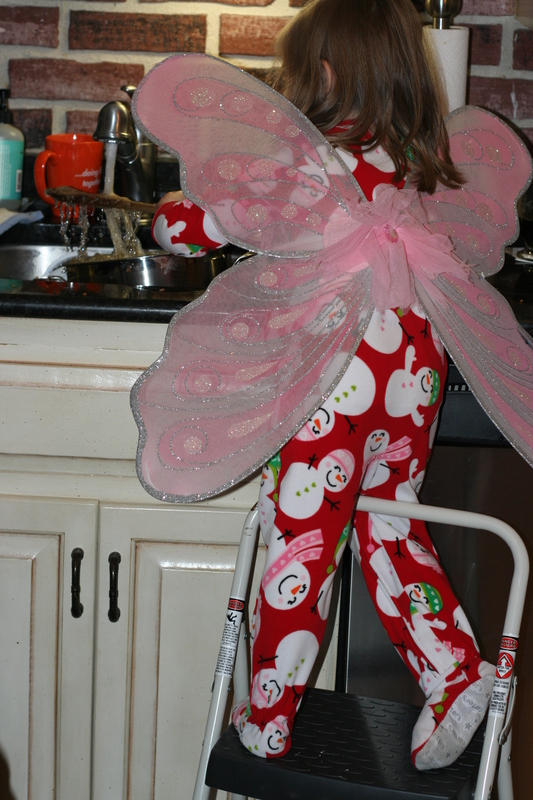 That kitchen fairy seems to be getting taller. Seriously she is growing way too fast! Cutie patootie while she is growing though. So cute!